“The debt to Bosnia and Herzegovina in the amount of $125.2 million has been settled in accordance with the agreement between the Government of the Russian Federation and the Council of Ministers of Bosnia and Herzegovina,” the Russian Finance Ministry said on Tuesday. The remaining debt was the money the Soviet Union owned to Yugoslavia. The USSR's foreign debt was accumulated in various ways. Obligations to Western countries accrued in the debt market after 1983. The money owed to the former Yugoslavia was as a result of trade between the countries. nitially, it was assumed the USSR's foreign debt would be paid by all its republics. A document on this was to be signed in December 1991. The bulk of the debt was on Russia (61.34 percent). Ukraine was to repay 16.37 percent, and Belarus was to repay 4.13 percent. However, Estonia, Latvia, Lithuania, Azerbaijan, Moldova, Turkmenistan, and Uzbekistan did not sign the agreement. 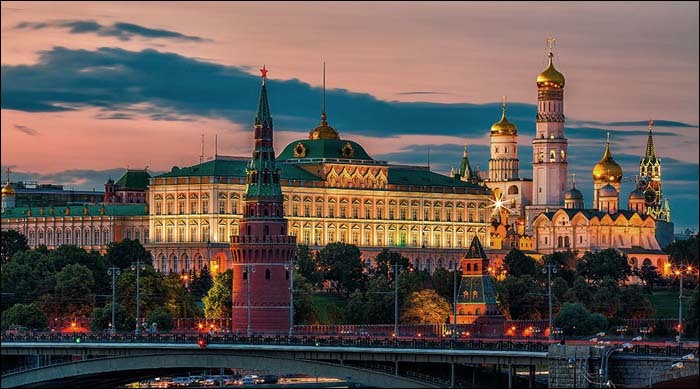 As a result, in 1994 Russia took on all the debt in exchange for property all around the former USSR. When relations with Russia deteriorated in 2014, Kiev threatened to nationalize Russian property within Ukraine. At the time, the Russian Ministry of Foreign Affairs reminded Ukraine it owes $20 billion in Soviet-era debt and if Kiev raises this question, Moscow can demand repayment. As of 1994, the debt of the old USSR was almost $105 billion. The largest part of this amount (over $47 billion) was to the Paris Club of creditors. It was a pool of 19 creditors, mostly in the West including the US and the UK. Russia actively began to repay debts under the presidency of Vladimir Putin, which also coincided with a surge in oil prices, giving the country extra foreign currency. At the same time, Russia has written off a large part of the debt developing countries owed it. In 2014, Russia forgave more than $30 billion in debt owed by Cuba, which accounted for 90 percent of the total liabilities. The remaining debt, amounting to $3.5 billion, will be paid off within ten years in 20 equal installments. Russia also wrote off Iraq's debt of $21.5 billion, Mongolia ($11.1 billion), Afghanistan ($11 billion) and North Korea ($10 billion), as well as $20 billion in debts owed by several African countries. In total, Russia has forgiven more than $100 billion in debt owed by developing countries over the past decade.